Do You Need Low Maintenance Outdoor Combination Settings? 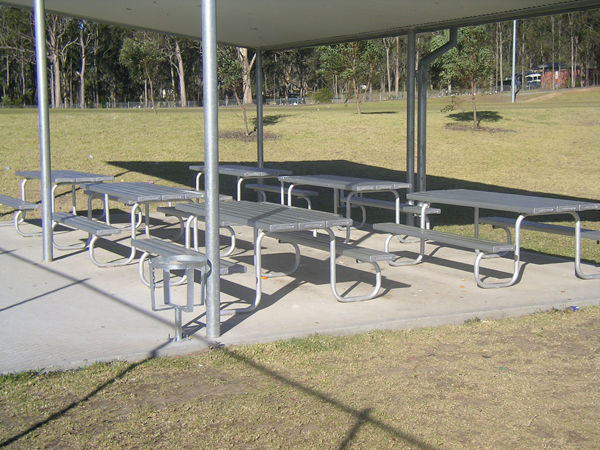 TRIMLITE FENCING SYDNEY are proud to be distributors of quality Trimlite products including the aluminium seating and table range - Trimseat. 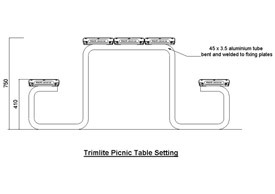 These brilliant picnic table settings utilise Trimlite's exclusive aluminium bench seat combined with our purpose bent table legs forming one complete unit. 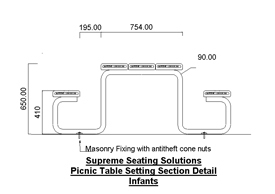 Easy to handle and install this unit ensures you will always have a seat at your table! 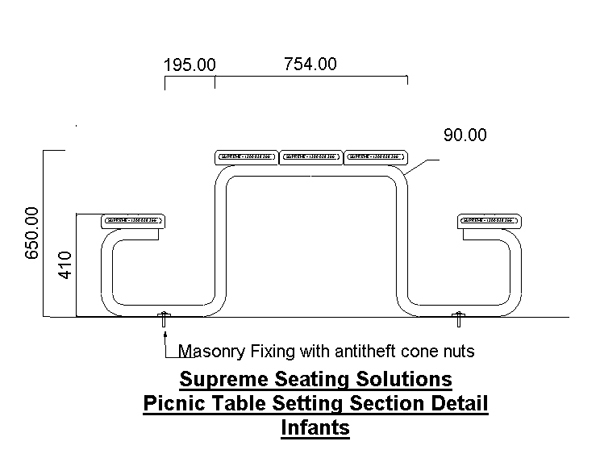 Our Picnic Table Settings comfortably seat 6-8 people without the risk of splinters or maintenance. 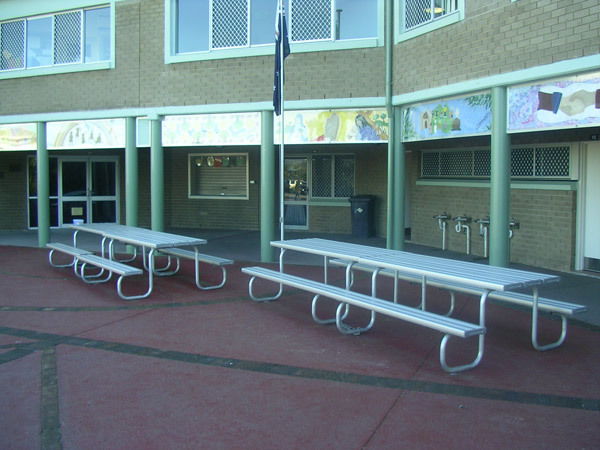 They are perfect as outdoor learning areas for schools, BBQ areas for Parks and Clubs or any recreation area. 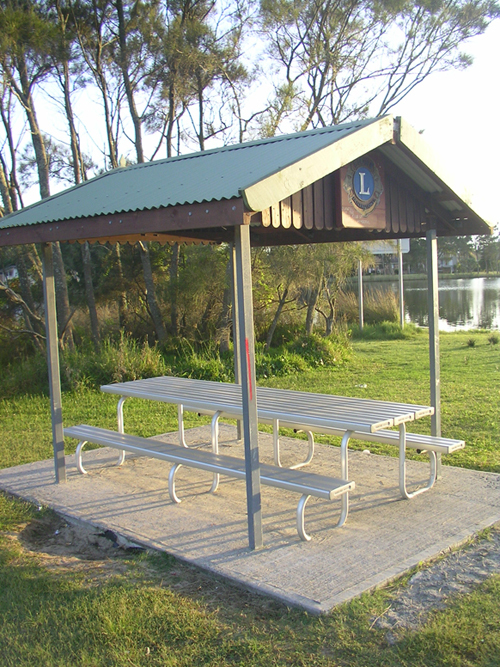 Like all our seating products they are easy to assemble by students, tradesman, maintenance staff or handymen our EA (Easy Assemble) Kits are provided in component form and can easily be assembled and installed with basic hand tools, and some time. It could even be the perfect addition to an existing class, as students tend to take pride in something they have put together themselves. 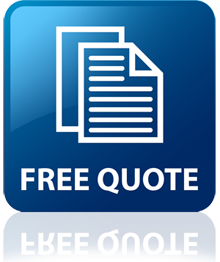 Or if you prefer a complete hassle free project let our team handle the entire process for you and have your seats installed by our expert tradesman.